This event was the result of trade, economic, scientific, technical, social and cultural cooperation between Astrakhan Region and Tatarstan. The corresponding agreement was signed in November 2018 during the visit of the Acting Governor of Astrakhan Region Sergey Morozov to the Republic of Tatarstan. "Kazan-Astrakhan" flights are operated three times a week on Tuesdays, Thursdays and Sundays on 50-seat CRJ-200 aircraft. Almost full load of the first flight indicates the demand for this direction. Previously, it was possible to get from Kazan to Astrakhan and back only with a transfer in Moscow, and it took 5-6 hours. Now direct flights connect the capitals of the two regions in less than 2 hours. In 2019 Tatarstan takes part in co-financing of 24 routes: from Kazan to Barnaul, Kaliningrad, Makhachkala, Nizhny Novgorod, Nizhnevartovsk, Novy Urengoy, Omsk, Orenburg, Perm, Samara, Surgut, Chelyabinsk, Astrakhan, Yaroslavl and Kaluga, from Nizhnekamsk to Rostov-on-Don, Krasnodar, Mineralnye Vody and Yekaterinburg, from Bugulma to Nizhnevartovsk, Novy Urengoy, Noyabrsk, Surgut and Usinsk. In addition, the list of subsidized flights included 6 routes not co-financed by Tatarstan: flights from Kazan to Volgograd, Gorno-Altaysk, Lipetsk, Tomsk, Usinsk, Rostov-on-Don. 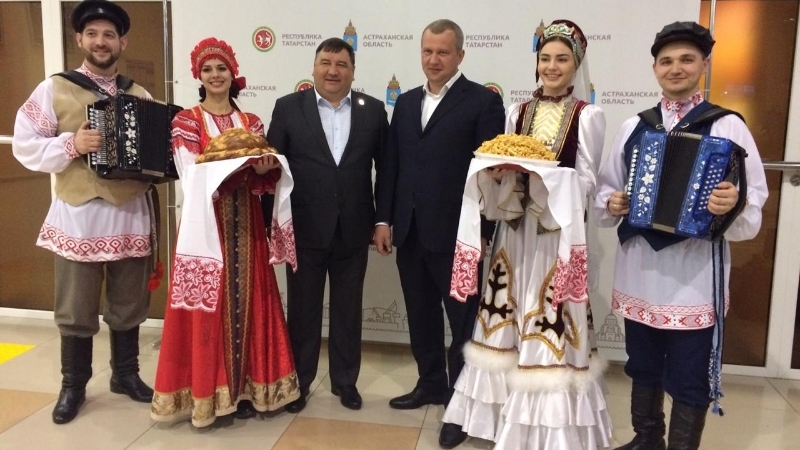 "Tatarstan traditionally pays great attention to the development of the transport system. Two international airports "Kazan" and "Begishevo" and one airport for domestic flights provide an opportunity of passenger and cargo transportation in more than 40 directions. This allows us to build close interaction and effective cooperation with the regions of Russia and foreign countries, developing trade and economic ties, increasing the tourist flow and opening a direct path for investors to enter Tatarstan", - the Head of Tatarstan Investment Development Agency Taliya Minullina shared. "Last autumn, Sergey Morozov visited our Agency during his business trip to Kazan. During the negotiations it was decided to develop Tatarstan-Astrakhan relations. Interest in development of cooperation in the field of mechanical engineering and shipbuilding was noted, as well as good prospects for partnership in the petrochemical industry. Contacts on cooperation in the field of construction were established. We are sure, from that day on, we can start working in all the directions", - Taliya Minullina added.